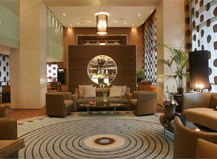 Located in the heart of Beirut's most exclusive business and shopping district, easily accessible from Beirut International Airport and only minutes away from Downtown Beirut, Hotel Four Points Sheraton Verdun offers a personalized service in a sophisticated atmosphere with distinctive attitude. 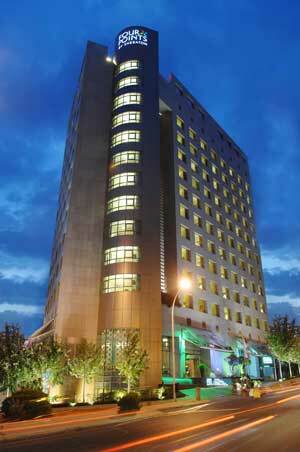 Ideally situated for business and leisure travellers, you will find a stimulating world to discover both inside and outside the Hotel. 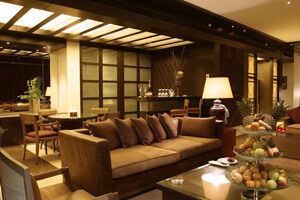 Step into an inviting oasis of warmth and luxury in one of the world's most cosmopolitan cities. 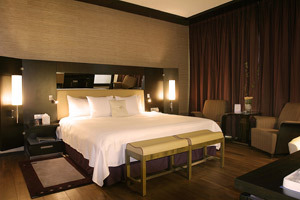 Modern and beautifully designed, your room is your own private refuge to savor during your stay. 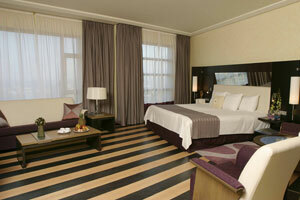 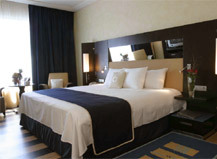 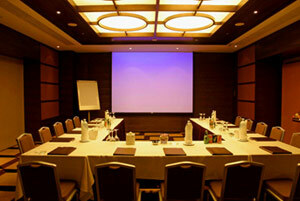 The Hotel offers you 132 elegantly appointed guests rooms woth panoramic city views, 22 Suites and 1 Presidential suite. 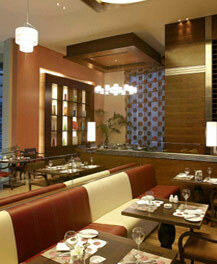 Ywill enjoy the International food served at "Le Bistro" restaurant, or the snacks at "The Bar". 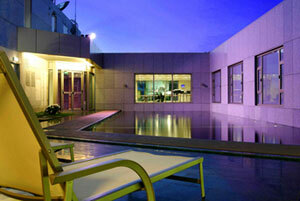 Contemplate the panoramic city view at "Blue Patio", the rooftop poolside bar.